Thank you for choosing the Blakehay Theatre – we hope you will enjoy your visit! 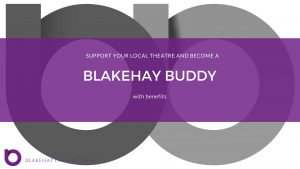 The Blakehay Theatre is a community theatre in the centre of Weston-super-Mare. 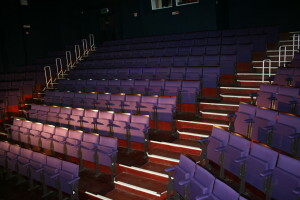 The theatre operates as a live venue, programming local and regional theatre, music and dance as well as community classes and events, and cinema showings. At all levels, the theatre aims to offer a high-quality, friendly and diverse arts experience to all its attendees and staff. It is Weston’s best kept secret with an intimate feel with three venue spaces under the one roof! Our Main House, is a beautiful converted church with raked seating and disabled access, the main house has an intimate feel holding just 200 people. 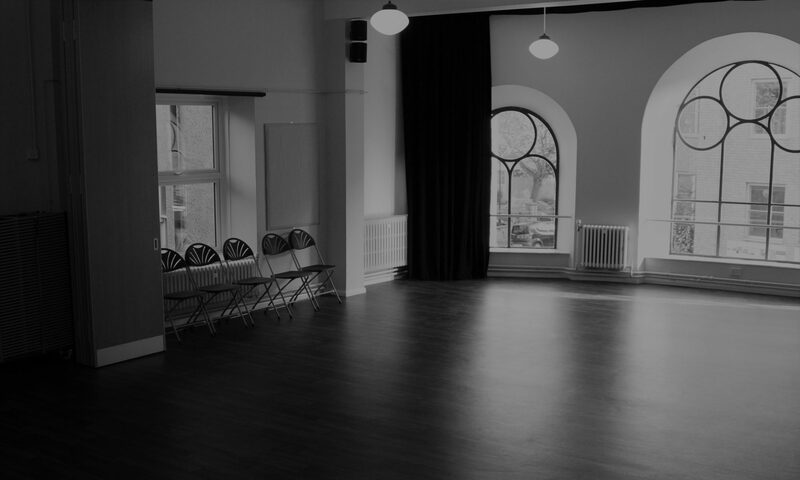 Our Studio Theatre is situated in the old Sunday School Rooms of the church, on the first floor with beautiful views over Grove Park and can seat up to 100 people. The Theatre Bar is situated on the ground floor with a small outside courtyard, and is open one hour before performances and for interval drinks. Selling locally sourced bottled drinks, great coffee and amazing Ice-Creams our theatre staff are always happy to help. The Theatre Bar also holds intimate events with a small stage and local Art Exhibitions. Situated next to Grove Park and a public car park, the Blakehay Theatre is an excellent place to visit during the day or evening to be entertained. We look forward to welcoming you to the Blakehay Theatre! Don't forget that our Box office is closed tomorrow and Friday this week, but you can still book tickets online for our summer season! Monday night is film night! Disney's Enchanted at 4pm, only £5 per child with free adult, and Baz Luhrmann Season finishes with Moulin Rouge at 7pm, only £5 each. Doors open 30 minutes before! Tuesday, Thursday and Saturday is Do Yoga in the Studio. Please note that our Box office is open Tuesday, Thursday and Saturday only this week, but you can still book your tickets online! Also our new Summer Season brochure is out now available from @BlakehayTheatre, @Weston museum or Visit Weston! Due to popular demand, we have been able to release very limited extra loose seating for 'An Evening with Ann Widdecombe' on Saturday 27th April @ 7.30pm.